Click HERE to download a Full Program Year Calendar. The Early Bird Registration fee for Faith Formation in a Specially Designed Classroom is $85. After August 15, the registration fee rises to $110. Get in on the discount and register early! Click here to register for Faith Formation in a Specially Designed Classroom online. Click HERE to sign up online as a Faith Formation Volunteer. 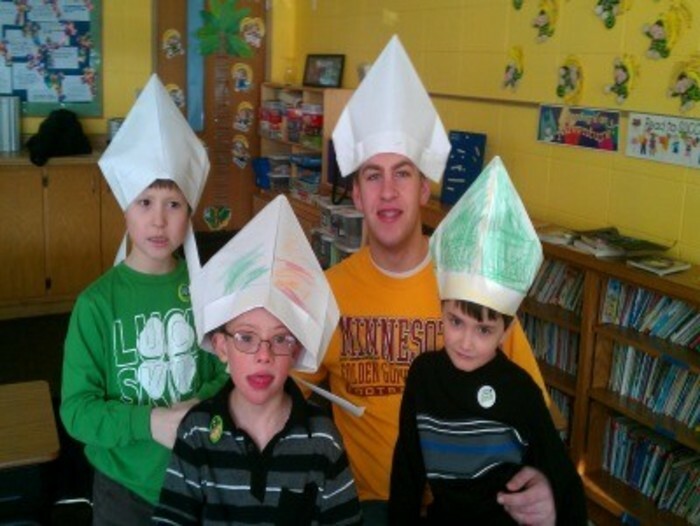 Make a difference in the lives of our parish children! For children with learning differences which make education about our faith a challenge in an integrated classroom, we offer Faith Formation in a Specially Designed Classroom. Classes will run every other week. There is a special focus on the meaning of the Mass and each week's Gospel message as well as some of the most basic tenants of our Catholic Faith. Those of you who are preparing a child with learning differences for Sacraments such as First Communion, Reconciliation or Confirmation will find this class to be a good pairing with Sacramental instruction in the home. Even if your child is not seeking a Sacrament, the specially designed classroom is a great place for these children to come and seek out God in an inclusive and loving environment. Curriculum materials come from a variety of resources including the Loyola Press Sacramental Instruction Kits for students with learning differences as well as the Alive in Christ curriculum offered by Our Sunday Visitor. This class is not age specific. Children in any grade level are welcome to attend. Questions regarding this program should be directed to Theresa Reichert, Children's Faith Formation Coordinator, via e-mail or 763.745.3483.